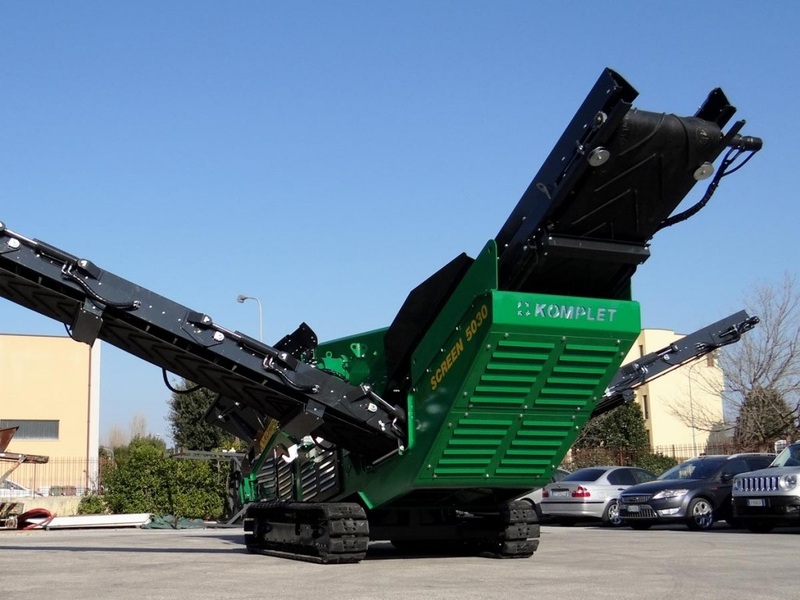 The Kompatto SC 5030 Komplet tracked mounted screener is a self-propelled screening of compact size. 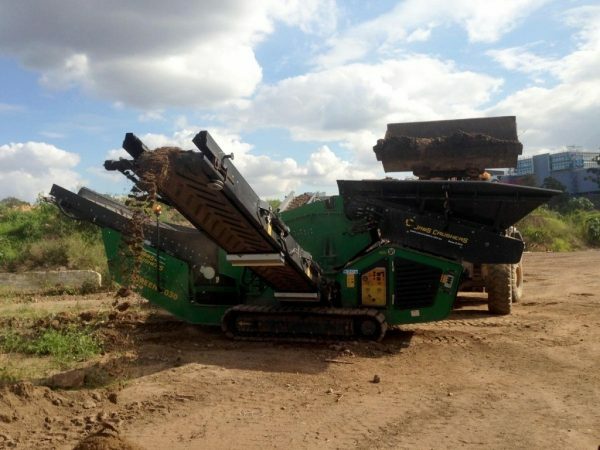 It is easy to use and was designed to perform every kind of site work, its lightweight makes it easy to transport, load and unload. 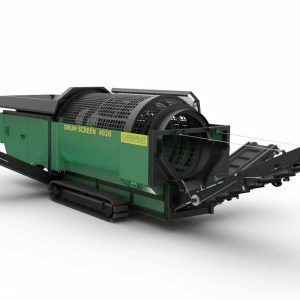 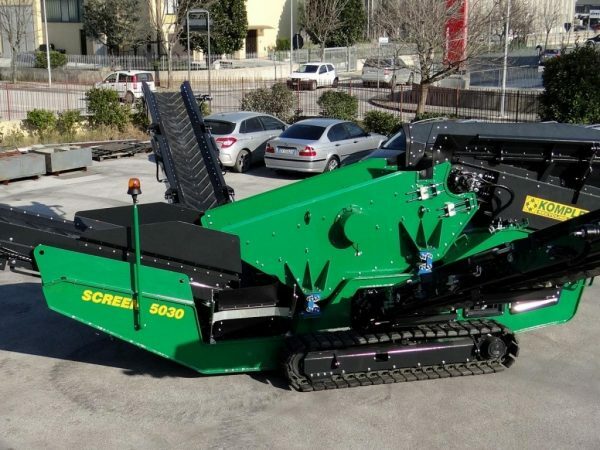 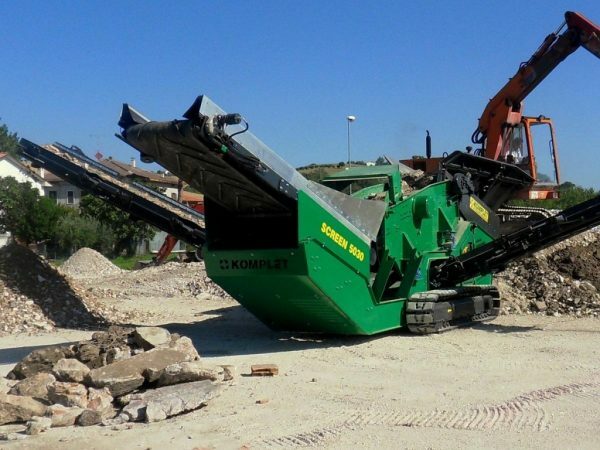 The Kompatto SC 5030 model is perfect for intense daily screening activities and can function both as a tilted screen featuring two meshes for three selections, or as a pre-screening machine to be used on the crushing operations output. 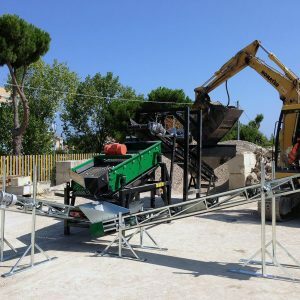 In order to fulfil this purpose, it was designed to be used either with regular steel mesh screens or with heavy duty reinforced screening bars. 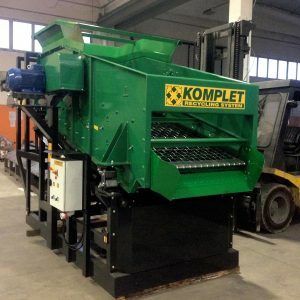 The tracked Kompatto SC 5030 model, just like all Komplet machines, easily fit inside a container and can be shipped worldwide with ease.